Half-way up the hill, I see thee at last. Lying beneath me with thy sounds and sights - A city in the twilight, dim and vast, With smoking roofs, soft bells, and gleaming lights. What is it? 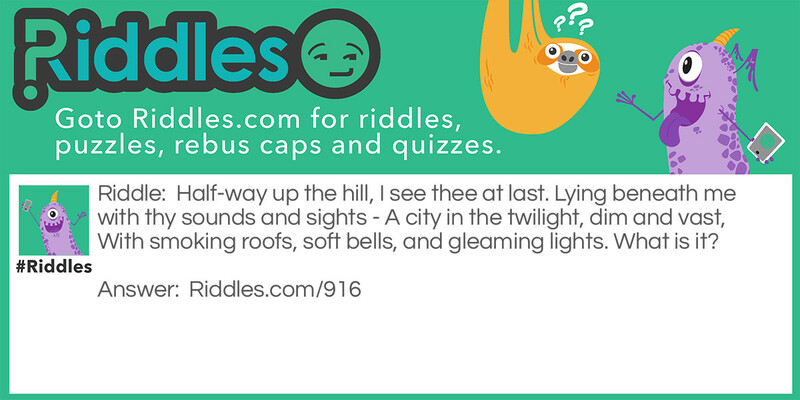 Sounds and sights Riddle Meme with riddle and answer page link.